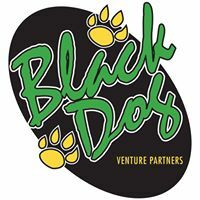 Black Dog Venture Partners has hosted investor events throughout the west and has raised millions of dollars for start ups as a direct result of our fast pitch conferences. Scott Kelly Founder and CEO of Black Dog Venture Partners, is a 25 year fundraising, marketing, sales, training and publicity veteran. Scott has raised millions of dollars in capital for disruptive companies, garnered national media coverage for hundreds of regional and national brands and generated millions of dollars in revenues for the companies he has represented. He has also trained over 1,000 sales people and has taught marketing at the university level in the United States and Europe. Michael Hool is our founding Partner and is a pioneer in the field of venture formation and financing in the Southwest and California. Michael works with select companies as an advisor, legal counsel and periodically serves in executive and board capacities. Michael practice is focused primarily on corporate and commercial representation, securities, finance and venture capital, mergers and acquisitions, corporate governance matters, and all aspects of counseling emerging companies. He represents both issuing companies and investors in a large variety of financing transactions. In the past fiscal reporting year, the firm has assisted entrepreneurs in over $187 million in funding transactions and has assisted funds raise over $100 million for investment in emerging companies. 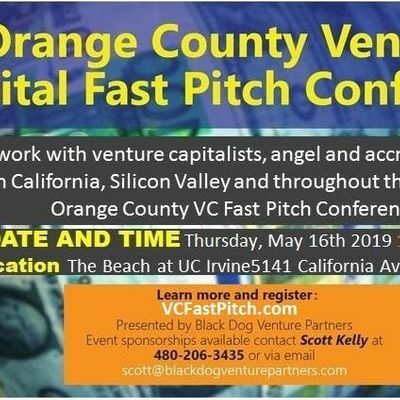 Michael represents or advises accelerators, incubators, and has formed three active angel investment groups, including ATIF (predecessor to AzTech Investors) and Canyon Angels. Michael has chaired or served on the board of Arizona Venture Capital Conference, BioAccel, AzTech Investors, Canyon Angels, and the Indus Entrepreneurs. Mr. Hool is currently active in formation of three separate seed stage investment funds. Mr. Hool is highly sought after as a speaker and author of papers on a broad variety of topics. Michael is also active as an investor in a growing portfolio of emerging companies. As investor in Mucker Capital, Jerry invests in early-stage startups. Prior to venture capital, he worked in global strategy, marketing and consulting with a Fortune 500 company, Bayer, in Europe and Asia, then had experience building up his own digital health startup. Having MBA, biotech, and engineering in education, he is happy to contribute his multidisciplinary and multicultural experiences to help companies grow. Cameron Colvin having played for the De La Salle Spartans, Oregon Ducks, and San Francisco 49ers. His story was recently portrayed by Ser'Darius William Blain in the 2014 Sony film When the Game Stands Tall, about his life through high school with the De La Salle Spartans. Chairman of CamCo Commercial Inc & Creative Solutions company “Rise Above Enterprises Development " that has taken on projects for American Idol creator Simon Fuller as well as Marvel Comics creator Stan Lee. Now author of Never Stop " 12 Principles of Success book series. Cameron has been featured in numerous global media outlets from Forbes, ESPN, Sports Illustrated, USA Today, New York Post and more. Cameron is currently an active investor on hit show Entrepreneur Elevator Pitch by Sprint which did 25,025,724 total views. His commitment to his sports career, business endeavors, and philanthropy with his 15 year non profit Linking Sports and Communities which supports underprivileged youth has set Cameron on a path to influence many around the world. Cam is your influential specialist that collaborates with brands to drive traffic and make splashes in your perspective market! Alex is the Managing Director at Plug and Play, the most active venture capital firm in the United States to develop a significant presence in Southern California. Alex is working to not only oversee and run the operations, but build the core team, expand the corporate network, and form new strategic partnerships in the region. He is also leading the startup technical due diligence process to evaluate pre-seed, seed and series A investment decisions at Plug and Play Los Angeles.With over a decade of management, research, and development experience in various technology fields, Alex has built his career as a serial entrepreneur, technologist and an investor. He currently holds two M.S. degrees in computer science (artificial intelligence) and he completed his first diploma in Aerospace Engineering when he was 18 years old. Before joining Plug and Play, Alex founded Tilofy, an intelligent trend forecasting SaaS platform, in 2013. Tilofy went on to be recognized as one of the Top 50 to watch in Southern California's technology industry (along with Tinder, Snapchat, Whisper, RadPad etc.). Alex and Tilofy were also featured in over 18 different magazines and publications, including American Marketing Associations and Huffington Post. Some of the world’s most recognizable brands and agencies have also utilized Tilofy’s technology to disrupt their respective sectors, such as Red Bull, Altria, Wipro, Hershey, Henkel, RJ Reynolds, Swedish Match, Unilever and Samsung.Alex is a frequent speaker and panelist on various venture capital and technology subjects. Last, but most definitely not least, Alex can also play chess with his closed eyes, has written two philosophical novels, and possesses the cooking ability of a world renowned chef. At Quake Lucas is focused on expanding Quake’s venture capital and angel relationships. He is also providing operational guidance to the portfolio companies on a range of topics including leadership, recruiting, and sales. Lucas received his Master’s in Entrepreneurship from the University of Southern California. While at USC, Lucas was the case protagonist of professor Noam Wasserman’s case study, which focused on his venture, Spark xyz, and hybrid entrepreneurship. Lucas also currently writes for Forbes and does speaking engagements around Los Angeles. Managing deal flow for Hawke Ventures and a SWAT team of 5 marketers for portfolio clients. Three-time entrepreneur and inventor, Drew was previously the Chief Marketing Officer and Co-founder of SnapSuits.com, a tech-forward men’s fashion e-retailer. He leveraged his seasoned product team, based in Colombia, South America, to achieve an 8x ROI with powerful technology and marketing. Drew was also previously Entrepreneur in Residence at memBrain in Los Angeles, working with tech and entertainment angel investors Ken Hertz and Liz Heller, whom he met while pitching his first technology in 2006. He graduated from the University of Michigan and is the recipient of the 2010 Ross School of Business Entrepreneur of the Year. Vishal is a technologist at heart. He enjoys building disruptive, innovative technology products and services that have worldwide impact, as well as investing in, incubating, and advising startups that do the same. He has Bachelor’s and Master’s in Computer Science and an Executive MBA from Kellogg School of Management at Northwestern University. Vishal has served multiple products and professional services organizations like Microsoft, Symantec, Accenture, and Avanade in different leadership capacity, where his roles included enterprise product and services strategy, design and delivery, product and portfolio management, global technology and P&L management. He is a founder of both Netvega Solutions, an IT services firm focused on providing services and solutions for small to mid-market companies, and VDOSH, an investment and advisory firm focused on growing technology startups in the early stages of their development. Vishal is passionate about startup mentorship and incubation and supports startups throughout the United States and India. He is a mentor with multiple incubation and acceleration centers including Alchemist Accelerator, Accenture Ventures and SAP and more. Many more investors expected to attend!